The weather in Muncie is supposed to be highs about 53 degrees with PM showers. Winds are to be about 15 mph. Rain and wind would not be good for our passing game, which has been all our offense to this point. If we are going to make a run at the end of this season, the time is here. UMass has played a string of good teams in 2015. However, the Minutemen have looked less formidable than I had hoped. Our pass-only offense has stumbled at times. Probably because of injuries, the Minutmen defense has not improved this year. However, UMass has showed flashes that it can do better. The offense scored on Notre Dame and Toledo. The defense played tough against FIU and Kent State. Ball State is not a good team. Let's play both haves of the game and with both offense and defense and get a second win of the season. Matty Vautour says UMass seeks second half success at Ball State. 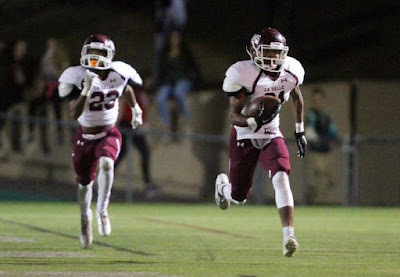 Dan Malone reports the Minutemen seek to halt a growing losing streak. Dan has five keys to the game. He scouts UMass VS Ball State by the numbers. The Boston Herald says Tajae Sharpe continues to lead the country in receptions. The Ball State Daily says the Cardinals look for a win against Sharpe and the Minutemen. The Muncie Star Press reports Ball State eyes bowl eligibility against UMass. CBS Sports has Ball State as its "lock-of-the-week" to beat UMass. UConn ran over East Carolina last night. Temple-Notre Dame is the college game of the week. FIU wants to be known as "Tight end U". BC, which has lost four in a row, meets Virginia Tech who has lost four of their five. Blake Frohnapfel received a major award yesterday as he was named a finalist William V. Campbell Trophy. Whipple said last night during the Coach's show that not only was Frohnapfel making a 3.67 average, he was doing it while taking an overload in courses at the Isenberg School of Business. Being named a finalist means Frohnapfel receives a scholarship and he will attend the award ceremony in New York city on December 8th. USA Today has more on the Campbell finalists. Matty Vautour says UMass wants to get the offense rolling against Ball State. Hustle Belt looks at the UMass-Ball State game. The Ball State Daily breaks down the Cardinals-Minutemen game. The Muncie Star Press says there's one thing the Cardinals do well. South Carolina will have a bye week before meeting UMass in 2016. UMass will be the opening game for the Gators in '16. Mississippi State will play four road games in six weeks in 2016. At Gillette against UMass is one of them. Western Michigan beat Eastern Michigan in MACtion last night. Special thanks to a blog reader who sent me this link on the value of college sports to the sponsoring institution. By the Harvard Business school no less. UMass Football Show tonight at 7:00 PM. Audio should be available on WEEI Springfield. Matty Vautour updates the UMass injury situation. Marken Michel and Trey Seals may make the Ball State trip, but it sounds as if they will be limited to being reserves. Whipple says Da'Sean Downey will start in place of Seals if needed. The UMass Daily says UMass aims for their second win of the season at Ball State. The Collegian reports the Minutemen are looking to turn their season around. Sports Memo thinks there will be a lot of offense when the Cardinals and the Minutemen meet. The Ball State website says the Cardinals are looking for a Halloween treat when UMass visits Saturday. The Ball State Daily says the Cardinals' secondary is struggling. Hope that continues for another week. NBC Sports says the Temple-Notre Dame game is good for both programs. Philly Voice says Temple is finally having the last laugh on the the Big East. ESPN picks the Irish by 18. If you were at Gillette Saturday, you saw a promotion of students trying to toss mini-footballs into a container for a prize. Eastern Michigan will have the same type of promotion, except the prize is a year's free tuition. Sounds a lot more doable than a forty yard field goal. The Buffalo News talks about the return of midweek MACtion. 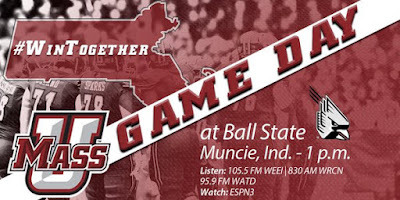 Ball State has their game notes for UMass up (.pdf download). The Cardinals' website has video from Pete Lembo's weekly press conference. Matty Vautour has injuries updates for the Minutemen. Sekai Lindsay's ankle injury will require surgery and he's out for the season. Marken Michel, Trey Seals, Kassan Messiah, Lucas Amato and James Oliphant all missed practice Tuesday. Dan Malone also writes on UMass' injuries situation. If you noticed an improvement in the UMass announcing over the last couple of games it's due to Todd Robbins, who is the new stadium voice of the Minutemen. Former Ball State WR Willie Snead is doing well with Saints. Ball State's QB Riley Neal can run with the ball if the situation requires. After Week #7 Cleveland.com has UMass as #11 in it's MAC power rankings. Notre Dame expects a four-quarter battle with Temple. NBC Sports discusses Temple's success this season (mentions the blocked extra point at UMass). Victor Cruz is still battling his calf injury. UMass has their game notes for Ball State up. 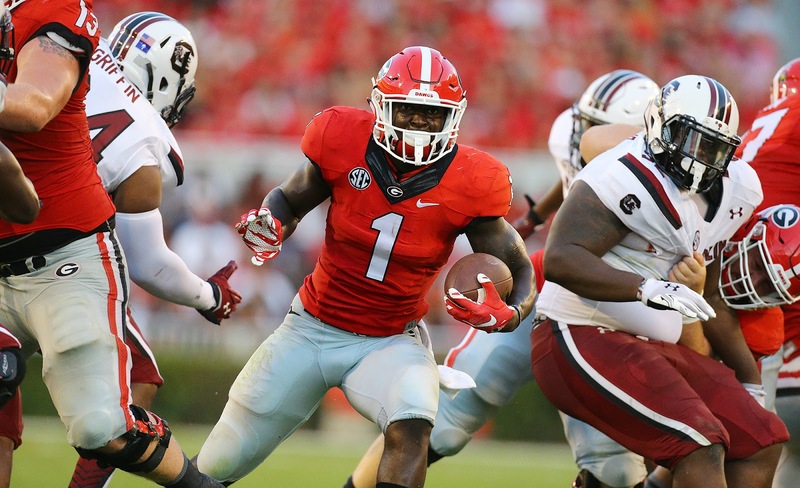 Matty Vautour parses the unbeaten college football teams. Dan Malone reports the Minutemen are slight underdogs against Ball State. Coach Whipple says Sekai Lindsay's status is uncertain as of Monday. He said Marken Michel and James Oliphant look as if they will be available for Ball State. He does not mention Trey Seals or Kelton Brackett, both of whom did not dress for the Toledo game. Cardinal QB Riley Neal, according to Whipple, continues to improve. So far in 2015 Neal has gone 7 GP 121.6 EFF 156-260-2 60.0% 1522 yards 11 TD's 53 LONG 217.4 AVE.
Sports Chat place picks Ball State to win the game and cover the spread. The News-Sentinel says the Cardinals are an improving but incomplete team. Bob McGovern says Coach Whipple went for the future in last year's recruiting. The UMass Daily Collegian says the Minutemen must play better in the easier section of their 2015 schedule. Cleveland.com has the good and the bad from the MAC Conference's eighth week. Toledo HC Matt Campbell said UMass was faking injuries to slow down the Rockets offense. CBS Sports says the AAC leads the Group-of-Five conferences. SB Nation awards Toledo's Matt Ely a half-a-Heisman for his performance against the Minutemen. MassLive has a video with Tajae Sharpe talking about the Minutemen's second half troubles. Dan Malone has more on the lack of second half offensive production by UMass' offense. Dan also runs the numbers from UMass' loss to Toledo. 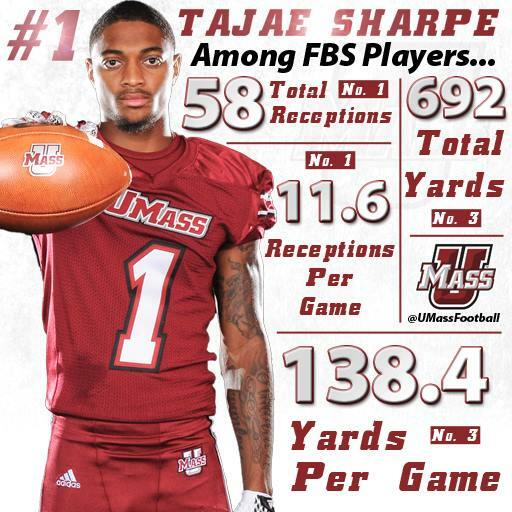 Tajae Sharpe is #1 in the nation in receptions/game! Toledo fell one notch in the AP Top-25 poll despite beating UMass. The MAC Conference site has more on the Rockets. East Carolina by 8.69 over UConn. Covers has Ball State by 3. Victor Cruz' calf still hasn't healed. James Ihedigbo says the Lions aren't ready to give up. Woman to face 2nd degree murder charges in OSU homecoming crash. Wow! this is turning out to be a terrible year for injuries. Yesterday Kelton Bracket and Trey Seals DNP. Marken Michel got hurt in the first quarter and did not return. From then on it seemed as if we were losing players every other play. The injury to Sekai Lindsay seemed to really take the wind out of UMass' sails. I think the defense played most of the game with minimal substitutions. No wonder they got tired in the second half. Jovan Santos-Knox had 20 TT's. That was the most single-game tackles by a player since 2004. UMass gave the undefeated Rockets all they could handle in the first half. Remember everyone in the weekly score poll was predicting a total blowout by the Rockets. The Minutemen did a good job defensively against Toledo's running game. UMass played a crappy game against Kent State last week. Against the Rockets the Minutemen played with spirit. I think it was a good effort by everyone. I hope we get some people back for the Ball State game. Matty Vautour points out UMass isn't playing as many close games this year. Matty says UMass came apart in the second half. Dan Malone says UMass gave up 5 straight TD's. Dan has five takeaways from the Toledo loss. Whipple says the Minutemen will keep on playing. Wicked Local reports UMass came up short in an upset bid. ESPN says Toledo completes a big comeback. FIU blew out Old Dominion. Notre Dame had a bye. All but two of college football's undefeated teams won yesterday. Boston College lost their fifth straight. UConn lost by 24 to Cincinnati. Condolences to the Oklahoma State family after a drunk driver killed four and injured 47 at OKU's homecoming parade. The weather is supposed to be partly sunny with a high in the low 50's. Winds about 5 mph, so it should feel warmer than the temperature. Good day to tailgate and to see UMass Band Day. And incidentally, support the team. Toledo is a big challenge with our defensive injuries, but it would be good to see the offense get back on track. Excepting last week, UMass usually plays better at home, so I'm hoping the Minutemen will play another game like Temple and keep it close or steal a win. We have yet to pull off an upset. Mrs Blog an I will be there. Hope to see a bunch of other Minutemen fans also. 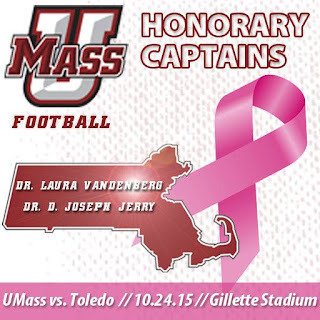 In honor of breast cancer awareness Dr. Laura Vandenberg and Dr. Joseph Jerry, two distinguished members of the UMass faculty will serve as honorary captains and participate in the coin toss. Matty Vautour says red zone offense is a key against the stingy Rockets. Dan Malone has five keys to the Toledo game. Dan says last year's loss to the Rockets still stings. He reports UMass is among the worst in the nation in Red Zone offense. Hustle Belt previews today's Minutemen-Rockets game. The Idaho Statesman previews UMass-Toldeo. Sports Memo says take Toledo and give the points. The Rockets have been near perfect ATS this year. The Toledo Blade says the Rockets travel to take on the Minutemen. Cleveland.com report road hurtles await MAC division leaders Bowling Green and Toledo. Five of the six MAC games (including UMass) will be on ESPN3 this week. Matty Vautour reports UMass faces an uphill battle against #19 Toledo. Dan Malone has video of Coach Whipple discussing defensive injuries and Toledo's dominate running game. The Rockets average 204.5 yards/game rushing. That works out to 5.4 yards/rush. To make matters more more impressive, their star running back, Kareem Hunt missed the first two games with a hamstring. Dan also has a podcast with Nick Piotrowicz of the Toledo Blade. Dan also has a video presentation about UMass alumni returning to McGuirk for Homecoming. The UMass Daily Collegian says UMass looks to regain its focus. The Lexington Herald-Leader previews the Rockets-Minutemen game. Rotoworld previews Saturday's game and discusses Rockets' QB Phili Ely. Ely's Toledo bio. Rotoworld also wonders if Blake Frohnapfel is playing hurt. BC Interruption looks at if Eagles fans should care about playing UConn. Cleveland.com says Bowling Green and QB Matt Johnson are on an offensive roll. The UMass football show is tonight at 7:00 pm. UMass Sports Insider will also play at 4:30 PM today on NESN. Matty Vautour reports the Minutemen defense is looking to create more turnovers. Trey Seals and Kelton Brackett missed practice with injuries. Charan Singh and Peter Ngobidi returned to practice. DaSean Downey pleads not guilty in regards to a fight last February. Dan Crowley of the Gazette also covers the plea. Cleveland.com power ranks the MAC after week #7. The Spread Insider looks at the Toledo-UMass game. Elevenwarriors.com say Toledo HC Matt Campbell is heading places. Toledo is one of fourteen teams still unbeaten in 2015. NewsOK looks at which of the unbeatens have the best chance of staying that way. The Attleboro Band will take part in UMass Band Day. ESPN lays off 300 workers. Ben & Jerry's announces beer-flavored ice cream. Halfway through the 2015 season Tajae Sharpe has gone 6-6 GP-GS 65-738 11.4 rec/game 2 TD's 45 LONG 123.0 yards/game. Sharpe has 2,906 career yards, which puts him 8 yards in front of Adrian Zullo. If he continues his 123 yards/game, Sharpe will finish with about 3,750 career yards. Andrew Cyr of the UMass Daily Collegian says the Minutemen look to hit the ground running. This weekend is UMass Band Day. UMMB director Tim Anderson will speak at today's sports luncheon. Fox Sports previews the UMass-Toledo game. Toledo is winning without playing freshmen. The Toledo Blade says it's time for Rocket fans to show up for the games. USA Sports reports little things lead to big success for Toledo. This year defense is making a difference for the Rockets. Cleveland.com has the MAC conference by the numbers after week #7. CBS Sports says take the under in the Rockets-Minutemen game. It's big offense vs big defense this week as Bowling Green meets Kent State. UMass has its game notes for Toledo up. The undefeated Rockets moved to #19 in the AP poll. That's Toledo's highest ranking since 1997. Matty Vautour has a post on Tajae Sharpe and how he fits in with UMass' all-time greats at wide receiver. Matty only covers the "modern" era players. I guess I could be considered a pre-modern era fan. Steve Schubert and Tim Berra were among the best I watched. 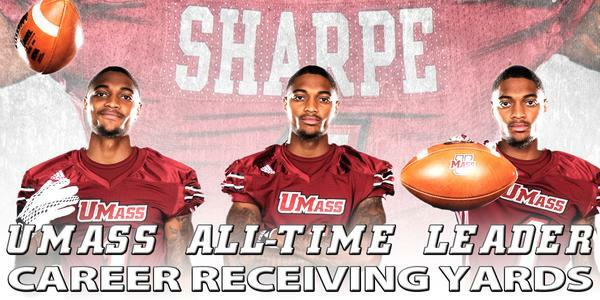 Jason Peebler and Rasheed Rancher are one and two in average-yards/catch in the UMass record book. Whipple says the UMass mistakes are correctable. Dan Malone reports UMass is not a confident group right now. Whipple scouts the Toledo Rockets. Bob McGovern says Whipple is still the man for UMass. The UMass students were well-behaved during the Minutemen's Homecoming activities. Ohio.com says the Golden Flashes defenders stood tall against the Minutemen. UMass student photojournalist Alex Zabrecky has a story on what it's like to photograph a game from the sidelines. Toledo's success in football is helping the university recruit students. Matty Vautour says UMass needs to show character after an unexpected loss. Adrian Zullo was on hand to watch Tajae Sharpe break his UMass receiving record. Zullo looks like he's still in good shape. Mrs. Blog and I talked with his brother one time back in 2003 when UMass played at Kansas State. Dan Malone says Blake Frohnapfel was not playing hurt for the Kent State game. Dan says the Minutemen offense has struggled in 2015. Dan asks if Whipple is worried about team morale after a discouraging loss. Tajae Sharpe did break Adrian Zulo's all-time receiving yards record. UMass opens as 14 point underdog to #23 Toledo. Dan wraps up the Minutemen's defeat to the Golden Flashes. All the Vegas odds here. FIU is a 14 point favorite over Old Dominion. Temple is +2.5, BC +8, UConn is +13 and Colorado is +3.5. Keepers College football has Toledo a 16.22 favorite over UMass (.htm download). Toledo and Temple make both the AP and Coaches Top-25 poll. The AAC has three teams in the Top-25 for the first time ever. ESPN stats predict the Rockets has a 17% chance of an undefeated season. Victor Cruz hasn't played since the last time the Giants visited Philly. James Ihedigbo didn't dress for the Lions game against Chicago. Well, we knew the predictions for a 6-6 season were razor thin. Basically, UMass needed to fix the flaws in the 2014 team. The kicking and punting game. The running game. The Minutemen needed to fill the hole left when Jean Sifrin declared for the NFL Draft. And we needed to stay healthy, because we have little depth, especially on defense. The punting game is better and Rodney Mills is a good second receiver when healthy. The other goals are not happening so far. Marquis Young needs to be the starting TB. He just has more pop than anyone else. I know he's fumbled, but we need his rushing production. There was a great crowd for the game and walking around before the contest felt like some of the big time schools Mrs Blog and I have visited. The fans want to support the team. We just need to win to make it happen. I left early. I've had season tickets continuously since 1976. Probably missed less than ten home games in that period. Most of the ten or so were due to various relatives who selfishly scheduled their funerals on a Saturday. My protests that Aunt Martha would have wanted me to go to the game usually didn't cut any ice with Mrs. Blog. I left early because it was my class reunion was being held that evening. The highlight of the reunion was a video address to the gathering by one of my classmates. He has ALS. This was a man who ran in the New York and London Marathons. He is now totally paralyzed except for his eyelids. Using his computer, he game a rousing speech to the class. He finds meaning in life and he's not going to quit. It was inspiring. Nuthin' is easy. It was still a good week for UMass football with A.D. Ryan Bamford scheduling those future games against UConn and BC. See you at Gillette next Saturday. UMass' writeup on the game. Matty Vautour says the offense sputtered. He also comments on how the big tailgate boosted Amherst businesses. Again, when Mrs Blog and I went to Notre Dame, we payed $209/night to stay 15 miles away from South Bend. Indiana makes tons of $$ of the sales tax, room tax, taxes the various businesses pay. If we had 30% of that, Massachusetts would be solidly in the black concerning the expenditures on UMass football. Dan Malone reports on UMass dropping to 1-5. Mark Whipple says the UMass offensive plan wasn't good. Kent State leads the MAC in just about every defensive category. What Ball State is to offense, the Golden Flashes are on defense. Blake Frohnapfel and Jovan Santos-Knox talk about staying positive. Dan asks if anything positive came out of the defeat. Lots of blowouts in MAC conference games yesterday. Note the margin of victory of Bowling Green over Akron. Well, the weather is supposed to be cool, but 0% chance of rain for the game today and the 3:30 pm start time should be as warm as the day is going to get. With some sun, it should be a nice fall day. The fall foliage should be about peak in Amherst too. Get some warm stuff on and join me in supporting the team today. Kent State has a good defense. I expect a close game like FIU. However, I think the Minutemen can throw the ball on anyone. With Rodney Mills back, the Minutemen should have multiple threats. It would bode well for the rest of the season if UMass could jump-start the running game. The Minutemen are finally in the section of the schedule where we should be highly competitive. BC is a double-digit underdog to Clemson. UConn is a slight favorite over UCF. I'd really like to see UMass win today. I'll be there cheering for the Maroon & White. The UMass Football Blog won't be updated tomorrow until early afternoon. Senator Rosenberg will be honorary captain for today's game. Matty Vautour has a post on today's game. Adrian Zullo will attend the game. Tajae Sharpe should break Zullo's career yards receiving today. Dan Malone previews today's game. Dan says UMass can't let the hangover from Bowling Green effect today's effort. He also has the TV and other media options for the game. Kent State leads the MAC in total defense and pass defense efficiency. Hustle Belt previews the Golden Flashes vs the Minutemen. Ohio.com reports Kent State won't name a starting QB until game time. Information on all the MAC games here. UMass runners run "nearly naked" for charity. Matty Vautour has the UMass defense looking to regroup against Kent State. Dan Malone has a podcast with Alan Moff of the Record-Courier about Saturday's Golden Flashes-Minutemen game. Dan has video interview with UMass defensive coordinator Tom Massella. Dan scouts Kent State by the numbers. The Boston Globe says UMass needs more from its defense. The UMass Homecoming Parade will pass through downtown Amherst. Bob McGovern looks at Kent State's Demetrius Monday. Monday's Kent State bio. 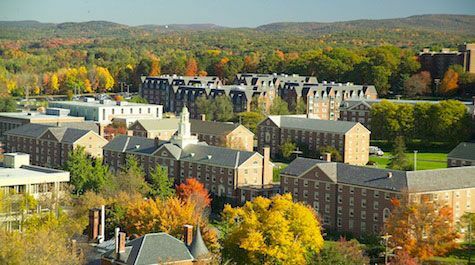 UMass will restrict guests in dormitories during Homecoming. The Hartford Courant has a post on the BC-UMass-UConn future schedule. Sports Edge talks about the BC-UConn hard feelings over the Big East breakup. The Athens Messenger ranks the MAC going into tomorrow's games. NJ.com wonders why the Giants haven't placed Victor Cruz on the short-term IR list. Julian Talley is still on the Giants practice squad. Vladimir Ducasse is still the starting RG for the Bears. The Coach Whipple radio show will be at 7:00 PM today. The Bletnikoff Awards voting is open. Go to this page and vote with all your browsers! Dan Malone breaks down the struggling Minutemen run game. Who leads college football in receptions? That would be Tajae Sharpe. The UMass Daily Collegian says UMass is ready to face Kent State at Homecoming Saturday. Kent State is in the middle of a QB battle. Either Colin Readon or George Bollas could start for the Golden Flashes Saturday. Shape.com features Kent State kicker April Goss. BC Interruption revisits their comments about scheduling UConn. Quote from the post:"Boston College is the one power football school around Boston and in Massachusetts." Last year UMass had more wins than UConn. This year we could have more FBS wins than the Eagles. Given BC's remaining schedule of Clemson, @ Louisville, Virginia Tech, NC State, Notre Dame and @Syracuse, it's hard to pick a game they'd be favored in. The Boston Globe says UMass brokered the deal. UMass Dining takes over McGuirk Stadium. Stony Brook loses UMass transfer Stacy Bedell for the season. Victor Cruz still hasn't been cleared to practice. James Ihedigbo sat out the most recent Lions practice with a quad injury. Kent State has their game notes for UMass up. Dan Malone reports on speaking with A.D. Ryan Bamford on schedule revisions and future games at McGuirk. As I said yesterday, this is very good news for UMass football. Long term schedules with UConn and BC will help everybody's attendance numbers. Minutemen fans can take a day trip to the "away" games. Costs will be contained. Last year, UMass won more games than UConn did, so we should be competitive with the Huskies at least. The UMMB probably could attend at least some of the games at Chestnut Hill and at Rentschler. Adding more games with FIU is good business too. The Panthers home turf is in UMass' recruiting wheelhouse and more exposure there could really help. Being able to vary the split at Gillette to 2-4 should be big help in game flexibility also. Good work by Bamford! Frohnapfel is OK after getting a hit on his throwing arm. Coach Whipple talks about UMass' struggling running game. Matty Vautour reports on the UMass run game situation. The UMass Daily Collegian says the Minutemen look to get into a regular rhythm on offense. BC Interruption talks about playing a series with UConn. Hustle Belt looks at the rest of the UMass 2015 schedule. Cleveland.com says the MAC conference put up some offensive numbers in Week #6. 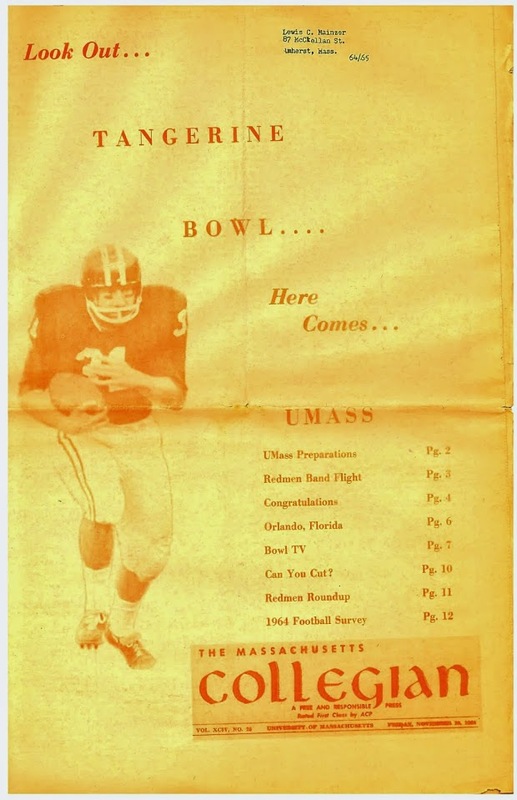 UMass has their game notes for Kent State up. Dan Malone wraps up the loss to Bowling Green. Coach Whipple says adjustments are not needed on defense or kickoffs. Dan says Blake Frohnapfel feels the pressure of needing the offense to score a lot. Frohnapfel and Whipple talk about the way forward. Coach Whipple does not expect offensive fireworks this week. A.D. Ryan Bamford reportedly close to signing long term scheduling agreements with BC and UConn. This is really good news folks. Playing New England foes we dislike should help hype the interest in UMass football. In addition, they're both bus trips which controls cost. As Dan mentions, having a long term schedule with an ACC team and an AAC conference team should help in our conference search. BC Interruption comments on adding UConn to their schedule. Will the Eagles win another game in 2015? Matty Vautour on the scheduling changes. Keepers College football rankings has UMass by 11.59 over Kent State (.htm download). Sports Chat Place thinks the Minutemen will cover the spread. Warning , annoying commercial music. Julian Edelman is a proud Golden Flashes alum. You may have heard Georgia lost to Tennessee and also lost their star running back Nick Chubb for the season. Next man up for the Dogs is Sony Michell, brother of Marken Michell. Check out Sony Michell's freshman highlight video for the Georgia Bulldogs. Cleveland.com has the good and the bad from Week #6 in the MAC. If you missed the offensive totals from Saturday's game it was 725 (school record for Bowling Green) and 516 for UMass. Total 1,231 yards. Rodney Mills stock is up, but that was about it for the Bowling Green game. Dan Malone says the Minutemen defense hit a new low. UMass opens as a five point favorite for homecoming. Temple, Bowling Green and Notre Dame open as favorites and Colorado and FIU as underdogs. Matty Vautour has a post on the return of Rodney Mills. He also mentions James Oliphant and Dan Jonah scored their first TD of the season. Mrs Blog and I talked with Jonah's parents at rest stop out in Ohio on the way back from Notre Dame. His folks noticed my "UMass Football' sticker on my truck and came over to say "Hi". Nice people. Jonah also played baseball for UMass. Khary Bailey-Smith was the last UMass player to return a kickoff for a TD. He ran it back 93 yards against Miami (Ohio) on 10/4/14. Oliphant's return was the 7th longest in Minutemen history. Kent State's only points against Toledo was a recovered errant snap in the endzone as the Golden Flashes lost by 31. All the scores and stats from Saturday's MAC conference games. Toledo jumps to #22 in the AP poll. James Ihedigbo says the Lions are the worst he's seen. Well, I was wrong about the point totals in that game. A couple of things jumped out while watching the game. The first thing is Bowling Green is legit. They've got a ton of weapons. The Falcons didn't beat two Power Five teams for nothing . The other thing is again, how out-sized we are on the defensive line. When UMass rushed three or four and moved everybody back, Bowling Green ran every time for 8 to 12 yards. When we packed the box or blitzed, the Falcons just threw over it. We really need four or five FBS-sized DL in the next recruiting cycle. It didn't help we left 10 points on the table in the first quarter. And the no-call holding on the Minutemen four down try followed by the fumble on the next series essentially ended the game. Still we had that big kick return, Ross Comis looked like he'll be UMass' QB for a while next year and everyone played hard. The media will be negative because negativity draws eyeballs. I'm still a UMass fan. We'll start our winning stretch next week against Kent State. Go UMass! Dan Malone reports UMass was buried in their MAC operner. Dan has five takeaways from the Bowling Green loss. Mark Whipple's after game comments. Was Blake Frohnapfel feeling the pressure at yesterday's game. Matt Vautour reports the Minutemen were blown out against Bowling Green. Matt says UMass is at a critical juncture. The combined record of teams UMass has played is 20-7. Temple beat Tulane by 39. FIU (yes, FIU) beat UTEP by 40. Colorado lost the Arizona State. Last week UMass had a milestone when the Minutemen recorded their first OOC win of the FBS era. Another milestone would be an upset. Last year we had close losses to Toledo, Colorado, Vanderbilt and Bowling Green. This year we came within the last minute or so against Temple. I think Kelton Brackett and Randall Jette can hang with the the highly-touted Falcon receivers. If the defense plays with the intensity it did against the Owls and FIU, then this may not be the point-fest everyone is expecting. I think UMass can score on anyone. If the Minutemen can make a couple of plays on offense and defense, I think this game is winnable. An upset against Bowling Green, who have won 13 consecutive MAC East games would be sweet. Today's game will be on ESPN3. I'll be watching it on my big screen via Chromecast. Media information for all the MAC games here. Bowling Green's game day activities. Dan Malone has game day media information. Dan picks the winners in the MAC for week #6. Matty Vautour says quarterbacks will take center stage when UMass visits Bowling Green. The Boston Herald reports Bowling Green has a familiar look for the MInutemen. The Toledo Blade says UMass-Bowling Green will feature air attacks. Temple-Tulane will be on ESPNU. FIU plays at home against UTEP. The Providence Journal reports UMass has been showing interest in C.J. Waite, a 6-1 180 pound WR/DB from La Salle HS in Rhode Island. Waite ran a 4.5 40 at a UMass camp this summer. Besides UMass, UConn and Rhode Island are showing interest. Dan Malone has local writers discuss the state of the Minutemen after the OOC schedule concludes. Scouting the Falcons by the numbers. Dan has: Matt Johnson, how good is he? Last year the UMass defense had a chance for a couple of takeaways and didn't make the play. Dan has five keys to the game and a final score prediction. Dan previews tomorrow's game against the Falcons. Matty Vautour reports UMass is predicting another shootout. The Sentinel-Tribune says powerful offenses clash when the Minutemen come to town. The Amherst NAACP weighs in about Da'Sean Downey's assault case. CBS Sports says take Blake Frohnapfel and Tajae Sharpe in fantasy college football. Draft Kings says take Bowling Green's Travis Green against the Minutemen defense. Bowling Green's Ronnie Moore has been playing both ways for the Falcons. Maryland was smoked by Bowling Green earlier this year. Numerous sources say the Terps are going to fire Randy Edsall. A Bleacher Report writer predicts Bowling Green 55 UMass 31. Bob McGovern thinks UMass can play with the Falcons.